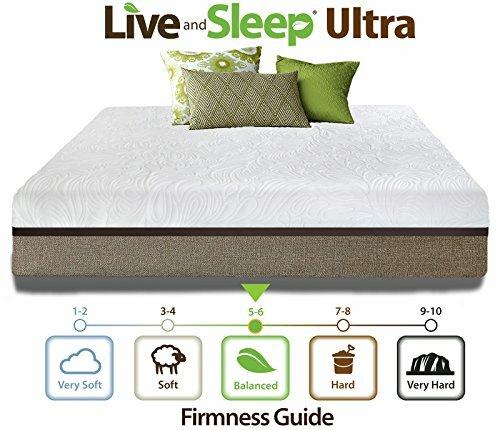 The Live and Sleep Ultra mattress was designed for your optimum sleep. We targeted the “just right” plush to medium-firm cloud like feel and gives your body the right support it needs. 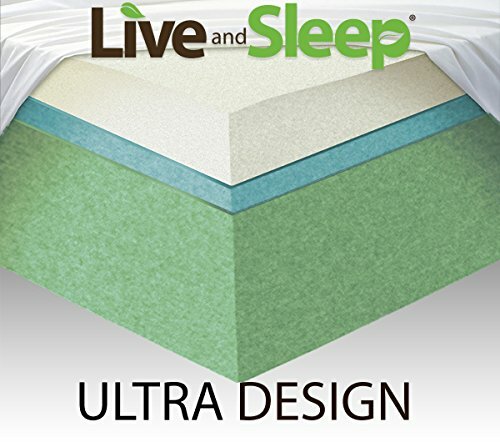 We built the Live and Sleep Ultra eastern-king size from responsive materials to help nearly all sleepers. Whatever your weight or position – back, side or stomach, you’ll love sleeping again. 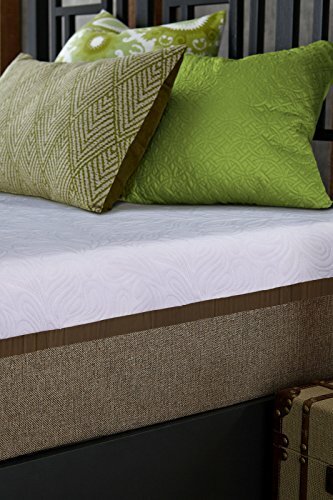 Infused with heat-capturing gel material, the top memory foam layer is designed to prevent heat build-up. Microscopic gel beads capture heat and move it away from the body to help regulate temperature as you sleep. 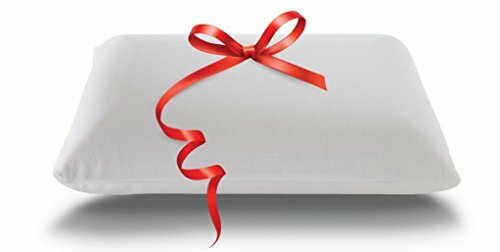 The open cell structure of Live and Sleep visco-elastic memory foam makes for a longer lasting, more breathable foam that will contour to your body and not heat your body up. 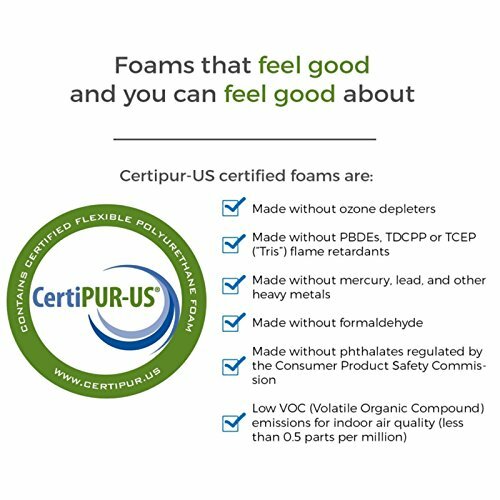 CertiPUR – US Certified. The mattress uses less chemicals, less gases and has less toxins and is hypoallergenic, antibacterial and dust mite resistant. The foam has been independently tested for safety of materials used, physical performance and environmental stewardship. Careful construction guarantees no prohibited phthalates, no ozone depleters, no CFCs, no mercury, no formaldehyde, no PBDEs, and low emission (VOCs) for indoor air quality. 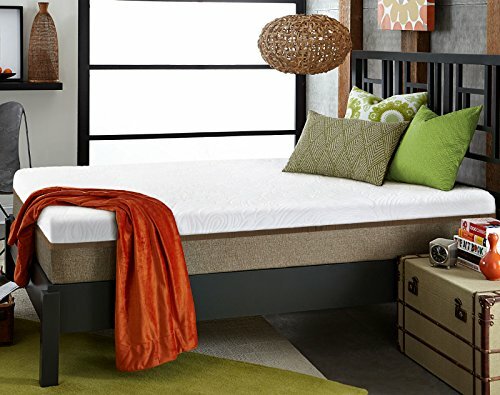 The mattress has a 20-year warranty that protects the mattress and cover against manufacturer defect. Designed and crafted in the USA, and manufactured overseas. Available online in Twin, Twin Extra-Long, Full, Queen, RV Short Queen, King and Cal King sizes. No latex included. 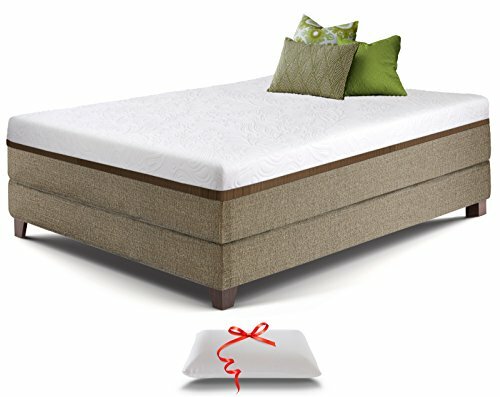 The Ultra 12-inch mattress ships compressed, rolled and vacuum sealed in a single box, to arrive at your door step! 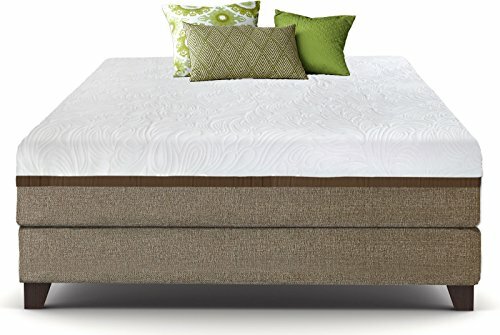 Please allow 48-72 hours for your new mattress to fully expand to its size.